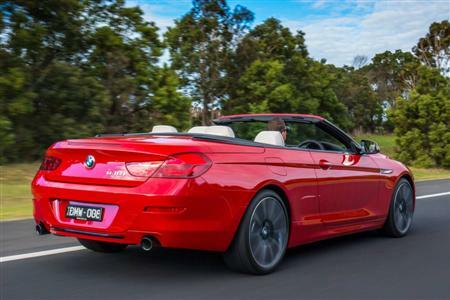 The arrival of the new BMW 6-Series range, in Convertible, Coupe and Gran Coupe body styles updates the current generation model that was originally released in 2011. Subtle refinements to the interior and exterior highlight the changes evident in the new BMW 6-Series, while ongoing chassis development and engineering has yielded an mprovement in ride and handling. Priced from $177,900* for the new BMW 6-Series Coupe, $184,900* for the new BMW 6-Series Gran Coupe and $193,900* for the new BMW 6-Series Convertible, the updated range has been enhanced by an extended list of standard equipment. The introduction of innovative BMW technologies including Driving Assistant Plus and Adaptive LED headlights with BMW Selective Beam as standard equipment place an emphasis on comfort and safety. Remaining within its ‘one model, three characters’ design philosophy, the new BMW 6-Series features improvements and embellishments implemented to accentuate the model's sporting pretentions. BMW’s designers have achieved their objective with the fitment of a reconfigured kidney grille and revised front and side aprons, emphasising the width of the body and its distinctive road presence. The inclusion of Adaptive LED headlights embodies the fusion of technological advancement and aesthetic refinement characterising the model update, evoking the premium appeal inherent within the range. With a full leather dashboard with contrast stitching already standard, high-quality surfaces, including a console finished in its entirety with a glossy black pearl finish, heighten the ambience of the cabin. 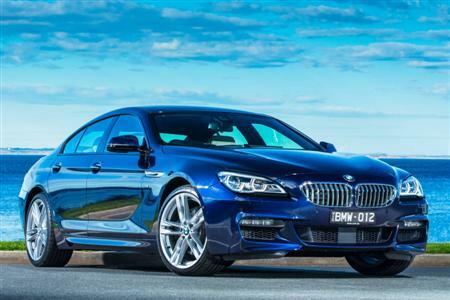 The updated BMW 6-Series is offered with a choice between four BMW Individual colours as no-cost options. Buyers can select from Citrin Black, Ruby Black, Moonstone and Tanzanite Blue in addition to the range of existing metallic and non-metallic paintworks.